Book your ferry to and from Rio Marina with AFerry. 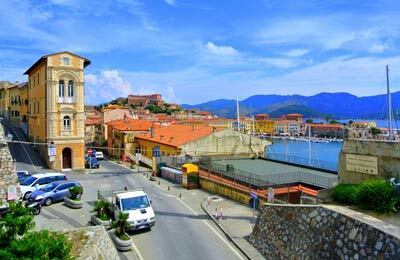 Rio Marina, on the East coast of Elba, is a lively, seaside town with restaurants, shops and a picturesque marina. The ferry company that operates out of Rio Marina is Toremar ferries with sailings to Piombino in mainland Italy. Toremar operate routes out of Rio Marina. Toremar has an impressive and large modern fleet of ferries and hydrofoil vessels. All Toremar ferries have air conditioning and escalators for passengers with reduced mobility. Most ferries also provide bars and a shopping arcade to keep you entertained and relaxed throughout your journey. Rio Marina port offers tourist information and a terminal building alongside shops, restaurants and cafes. There are also toilet facilities available. The port of Rio Marina is located on the East of the island of Elba, and is easily accessible via the SP26 Northbound road. Rio Marina has good links with the Italian mainland, with 2 to 3 ferries a day taking a journey of approximately 30 minutes. The port town is charming, with excellent views of the sea and quaint narrow streets that entice the visitor in to explore. 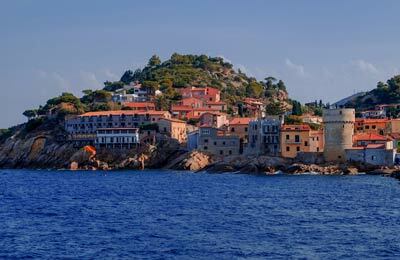 The ancients knew Elba as Iva because of its rich iron resources, making it an important port for navigation and trade. The Greeks later named it Aethalia (fume), referring to all the smoke given out by the iron refining furnaces. As a result, it today boasts many rich architectural remains such as prehistoric villages and ancient granite quarries. The best way to see the island and its rich cultural treasures is by foot, as it features a good network of mapped hiking routes. Book your ferry from the beautiful Elba town of Rio Marina to Italy simply and securely with AFerry.